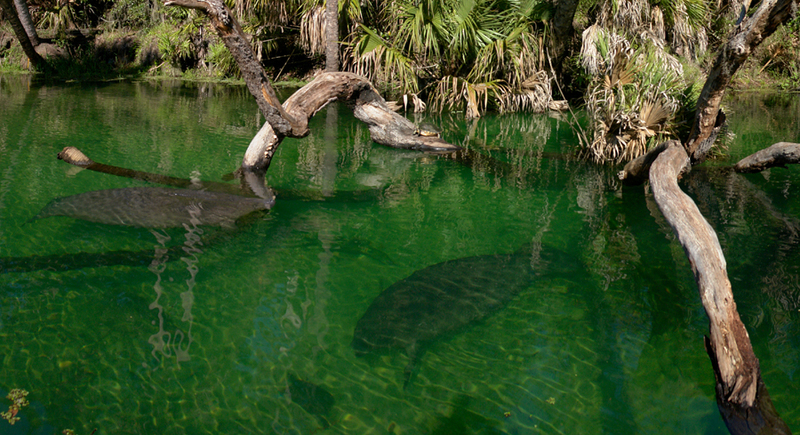 Blue Spring is a first-magnitude spring near Deland and known for its large winter population of manatees. The constant flow of water undercuts the surrounding oaks so that they grow gradually out over the water. 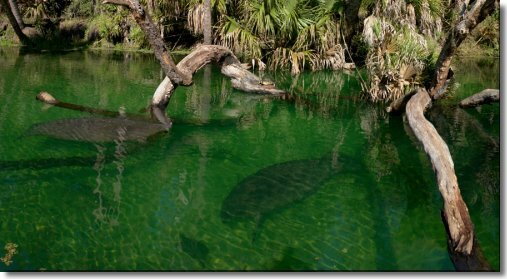 "Blue Spring" see it framed on canvas... 27x63" framed $395. see it framed on canvas... 21x48" framed $255. 22x42" framed $195. 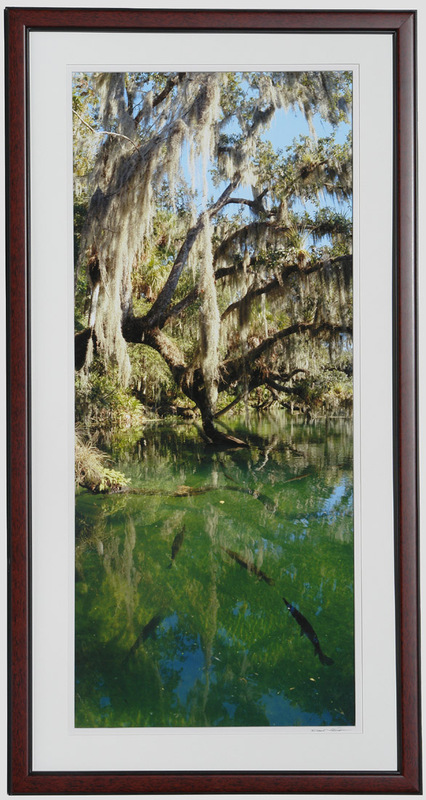 see it framed under glass "Turtles & Manatees"22x34" framed $150. see it framed in canvas 26x62"...$395.